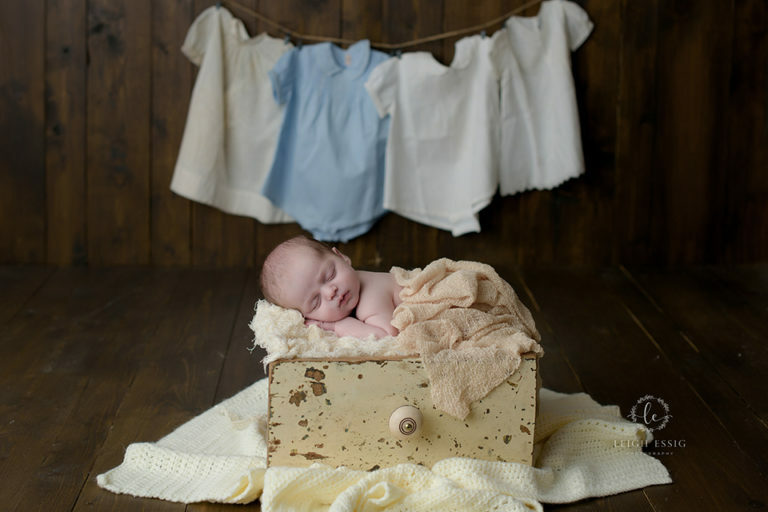 Ethan was so great for his newborn session! After I had my knee surgery in 2016, I had the pleasure of meeting Ethan’s mom at my physical therapist’s office. If anybody has ever had physical therapy, you know that in spending so much time there, you get to know everybody. While I was there I started talking to her and she found out that I was a newborn photographer. I was so excited when she emailed me this past fall letting me know that she was expecting! In general, I let my newborn clients know that I have all the props and backgrounds for their session. However, some clients will bring in something important to them and I’ll see if I can work it into their session. Ethan’s daddy loves the St. Louis Cardinals! How cute is he in his first Cardinals hat. I love capturing all the tiny details, like Ethan’s blond eyelashes in this photo. Babyhood goes by so quickly! Clearly not all babies want to sleep for the entire session and Mr. Ethan was no exception. But this is an adorable shot with his sassy little face. I’m so happy for the Graff family! I’m so grateful for the opportunity to preserve these memories for you. 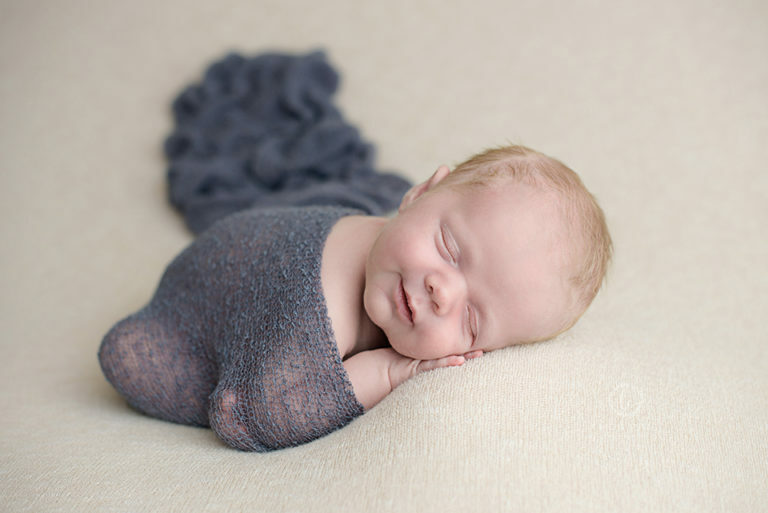 If you know of anyone looking for a newborn photographer in Columbia or South Carolina in general, please feel free to pass on our information. If you have any questions or would like to set up a session, I’d love to hear from you!